Senior Lunch on Fridays at 12:30pm at the Trading Post in Paonia. 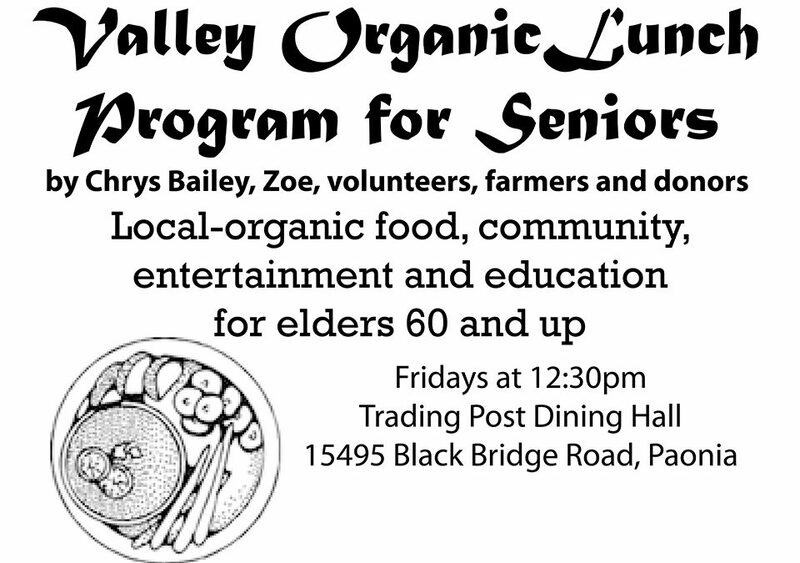 Local organic food, community, entertainment and education for elders, 60 and up. 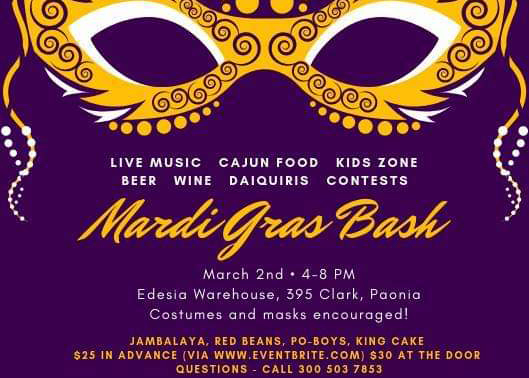 Mar 2 – Mardi Gras Bash from 4 to 8pm at Edesia Community Kitchen. Enjoy live music, cajun food, beer, wine, daiquiris, contests. Kid zone as well. 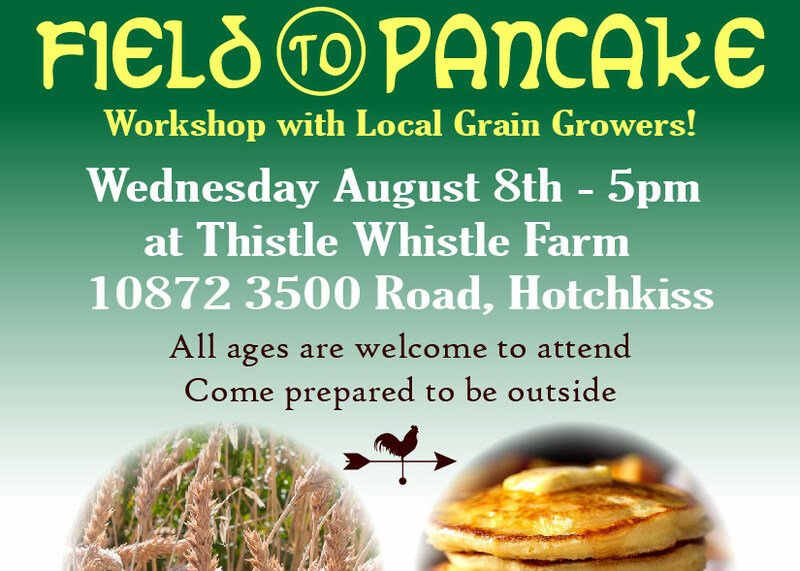 Aug 8 – Field to Pancake features a hands on grain celebration! We will harvest, winnow, clean and grind the grain into flour for a pancake feast! Discussion on growing techniques and grain adapted for our area. 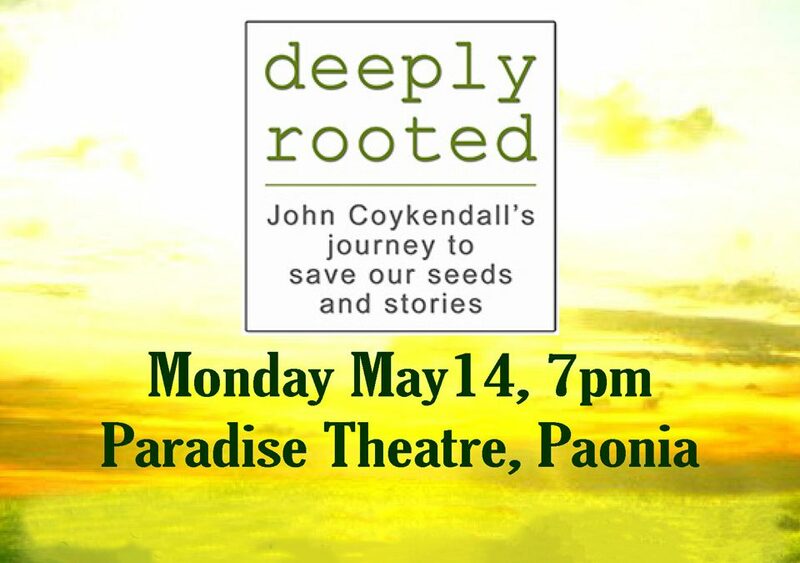 May 14 – Deeply Rooted is about John Coykendall’s journey to save our seeds and stories. He is a renowned heirloom seed saver, a classically trained artist, and Master Gardener. He has spent half his life working to preserve the seeds and stories of a small Louisiana farming community. 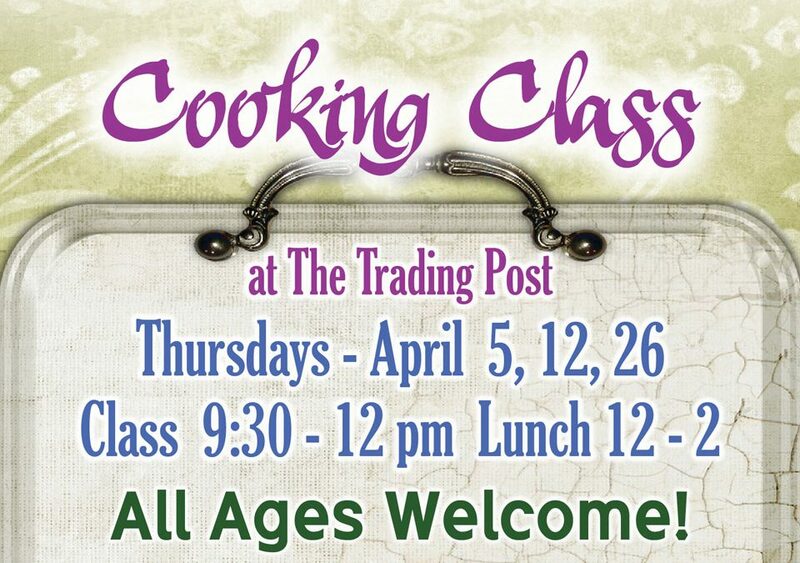 April 5, 12, 26 – The April Cooking Class at the Trading Post. All ages welcome! Thursday Lunch is prepared with local and organic ingredients. Each meal is unique and offers distinct flavors from a variety of cultures.